Galleries: This year, over 200 of the world’s leading international Modern and contemporary art galleries display artworks by over 4,000 artists, including paintings, sculptures, installations, photography, film, video, and digital art. Visitors can find works ranging from editioned pieces by young artists to museum-caliber masterpieces. Nova: Designed for galleries to present one, two or three artists showing works created within the last three years, the Nova sector features strong juxtapositions and never-before-seen pieces fresh from the artist’s studio. Positions: This sector allows curators, critics, and collectors to discover ambitious new talents from across the globe by providing a platform for a single artist to present one major project. Edition: Leading publishers of editioned works, prints and multiples exhibit the results of their collaboration with renowned artists, providing visitors with the opportunity to see significant and rare publications. Kabinett: In a separately delineated space within their booths, galleries present a curated exhibition by an artist of their choice. The diverse curatorial concepts for Kabinett include thematic group exhibitions, art-historical showcases and solo shows for rising stars. Survey: Survey presents precise art historical projects. These may include solo presentations by an individual artist, juxtapositions and thematic exhibits from artists representing a range of cultures, generations and artistic approaches. 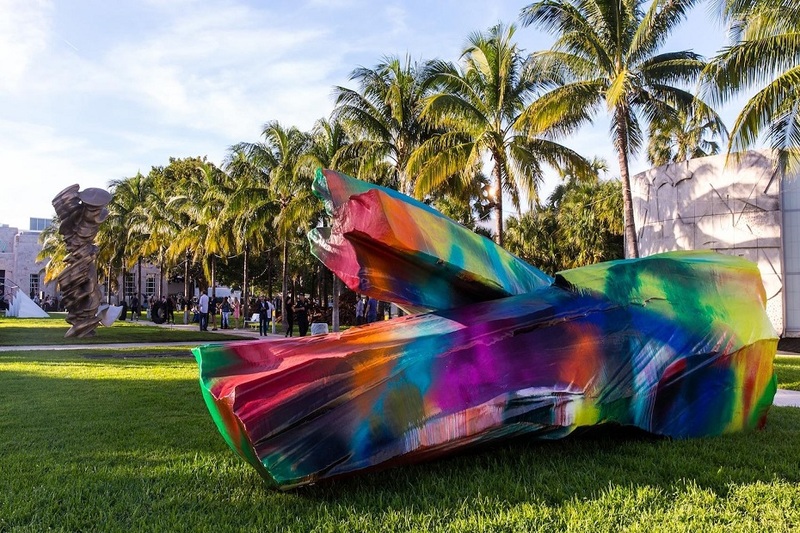 Public: As part of Art Basel’s show in Miami Beach, large-scale sculptures and installations by leading and emerging international artists are installed in Collins Park. Public is curated by Philipp Kaiser, independent curator and critic. The sector is produced in collaboration with the Bass Museum of Art and supported by MGM Resorts Art & Culture. Film: Organized in association with David Gryn, Director of Daata Editions and London’s Artprojx, the Film sector presents a dynamic program of films. Outdoor screenings take place at SoundScape Park, where works are shown on the 7,000-square-foot projection wall of the Frank Gehry-designed New World Center. In addition, New York-based film curator Marian Masone selects a feature-length film for a special screening at the Colony Theatre. Magazines: Art publications from around the world display their magazines in single-magazine stands or the collective booth. Editors and publishers often attend the show and many magazines contribute presentations to Conversations, our series of lectures and discussions by prominent members of the artworld. 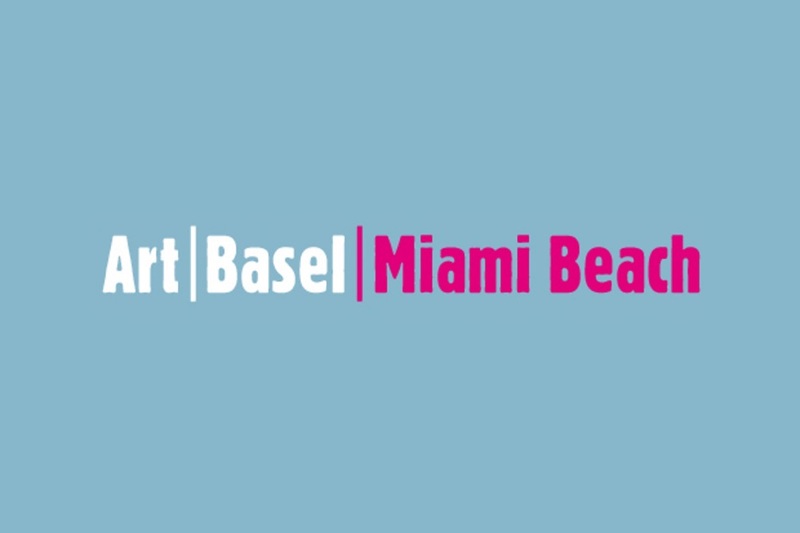 Conversations: Art Basel hosts a series of conversations on topics concerning the global contemporary art scene. Conversations offers a platform for dynamic dialogues between prominent members of the international artworld, each offering their unique perspective on producing, collecting, and exhibiting art. The series include artist talks, panels, and discussions with a range of speakers including artists, gallerists, curators, collectors, architects, art lawyers, critics, and many other cultural players. Conversations is programmed by Mari Spirito, Founding Director of Protocinema, Instanbul/New York.